Junkie XL feat. GNR - You could be mine remix ? You just paste the link, like it's normal text. Don't use the "Link" function. Wow, that's a good looking older guy. The Lebeis were there but seems like the band members were not. 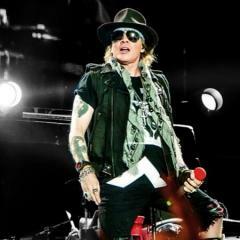 Maybe Axl? We might not ever know it.